So what is the deal here with the purge and Order 66? Did any Jedi actually survive besides Obi-Wan, Yoda and Kanan, and if so, how many did live to see the end of the Galactic Civil War? In new canon, the Grand Inquisitor used to be a Jedi guardsman. It's possible that other inquisitors were also formerly of the Jedi Order. There still appears to be a purge going on with survivors of 66; Vader has been sent to kill a Jedi in the latest Marvel Comic and the purge generally needs to happen to line up better with Obi-Wans explanation in ANH. As for how many lived to see the end of the Galactic Civil War, that's currently not covered I believe. 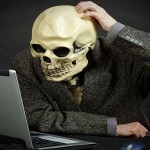 So the current count is none. I wouldn't be surprised if there are a few around. 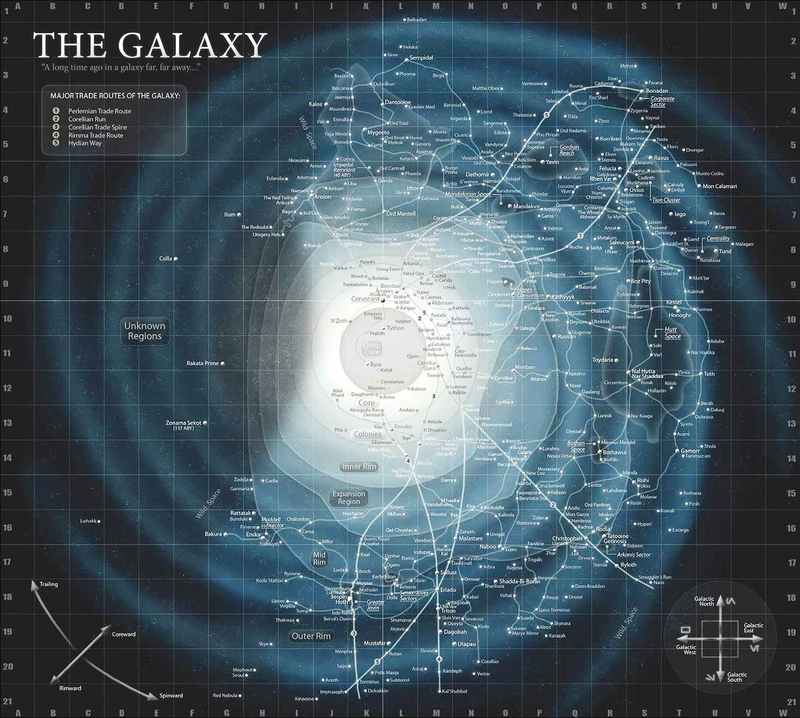 I know the ultra-fast hyperdrive technology makes it seem not so, but it's a BIG galaxy out there. Logic says there would be a few here and there, but nothing canon. Although, do we ever get an actual count of the number of Jedi at their peak? I know that's not in canon, but I'd be "legends" broaches that topic somewhere. Let's just say there's 1000 of them, which seems awfully low... even a 99% fatality rate means there's 10 scattered throughout the galaxy. I'd buy that. The figure I keep seeing being given is 10'000 Jedi at the start of the clone wars, but I don't know where that figure comes from. 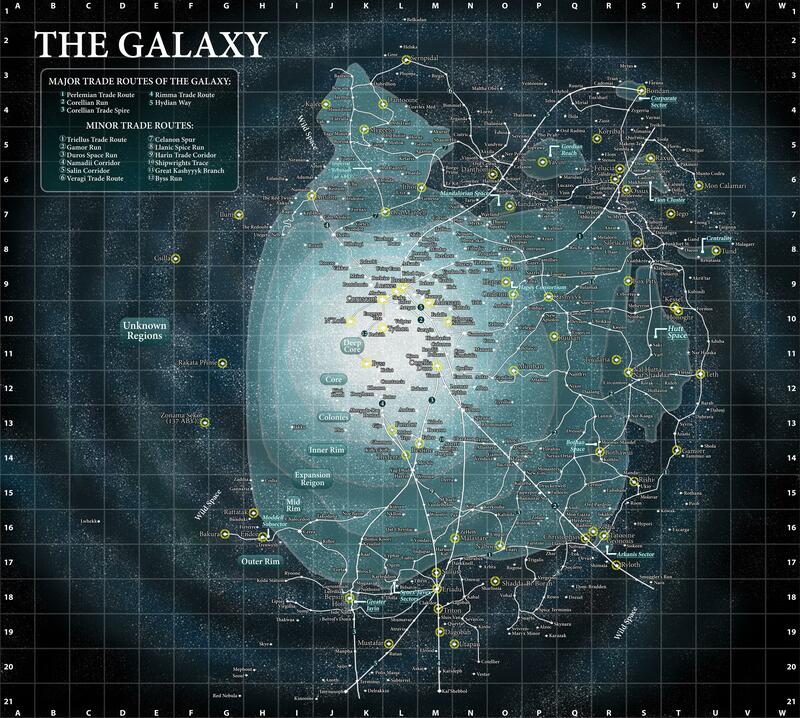 This is the official Star Wars Galaxy map as from the Star Wars Essential Atlas. A lot of unexplored galaxy to lose yourself in, as well as any potential pursuers. So it is entirely plausible that Jedi could escape the purge and vanish into the Unknown. However Jedi surviving might take away from the mystique of the betrayer Darth Vader hunting down the Jedi into extinction, and the current canon storyline of The Last Jedi, whatever that title means. Luke is the Last Jedi? Rey and Luke are the Last Jedi? Luke is not a Jedi anymore, Rey will be? Luke is the Last of The Jedi, but Rey will be something better than Jedi? Much larger fan edited map that makes locations pop. Griffin wrote: The figure I keep seeing being given is 10'000 Jedi at the start of the clone wars, but I don't know where that figure comes from. 10,000 Jedi sounds like something from the Visual Dictionary.